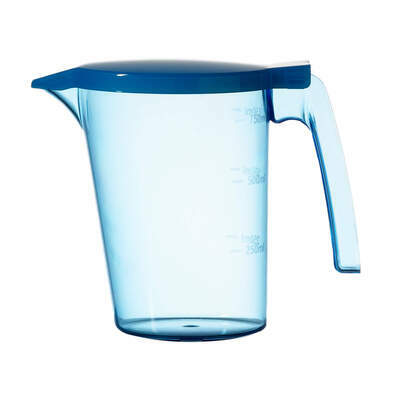 Durable hard plastic 1 litre jug and blue lid. Ideal for individual rooms or for use at meal times. Gompels HealthCare also supplies Plastic Tumbler 250ml x 75.